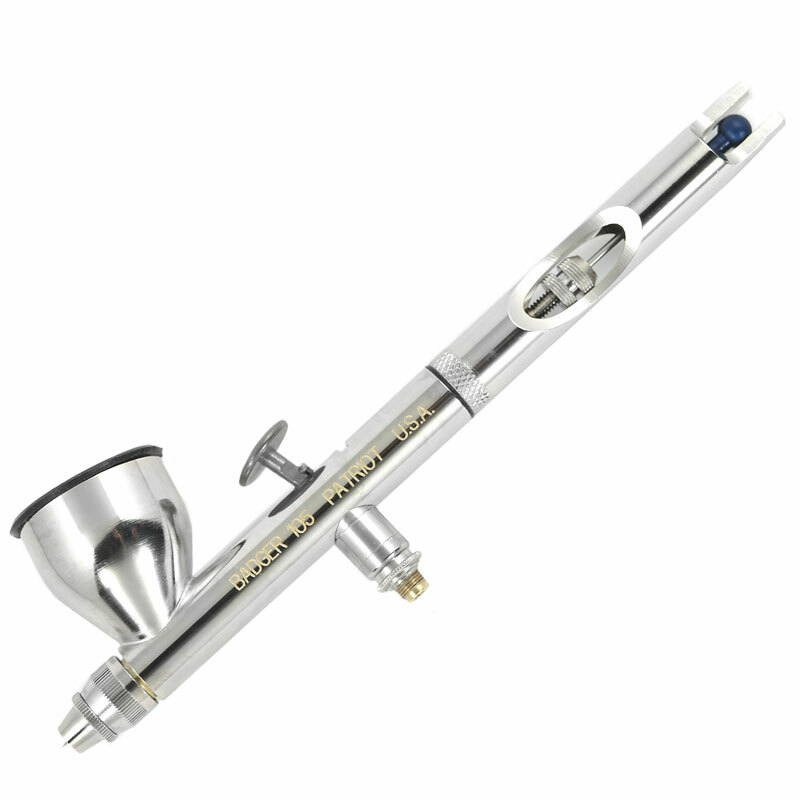 Badger Patriot Model 105 Airbrush is a reliable, user-friendly, gravity feed, internal mix dual-action airbrush. Dual action means the trigger controls paint volume and line thickness simultaneously. Sprays a wide variety of media with great control. Patented handle design for the fastest needle release on the market. 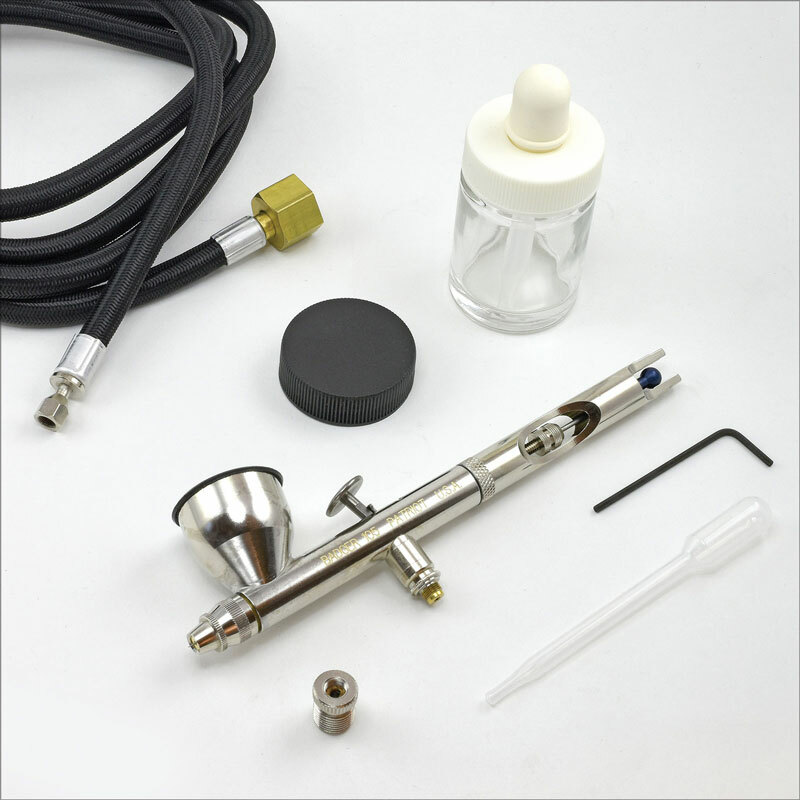 Set includes Patriot airbrush with built-in 1/3 oz color cup, 3/4 oz jar with lid, 5' braided air hose and pipette.